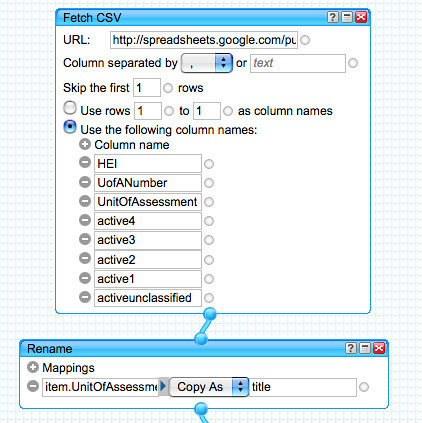 One of the problems with processing CSV data using a Yahoo pipe – as described in Filtering Guardian Data Blog/Google Spreadsheet Data With Yahoo! Pipes – is that the RSS output of the pipe is not very well formed. It’s fine for outputting as CSV, or even JSON, but it’s not so hot as RSS. So in this post, I’ll show you how to get a proper RSS feed out, with a meaningful title and sensible description for each item, and as an added bonus, a chart image generated from the CSV data using the Google Chart API. So that’s part 1 – constructing title and description elements for each feed item, where a feed item is derived from a CSV row. 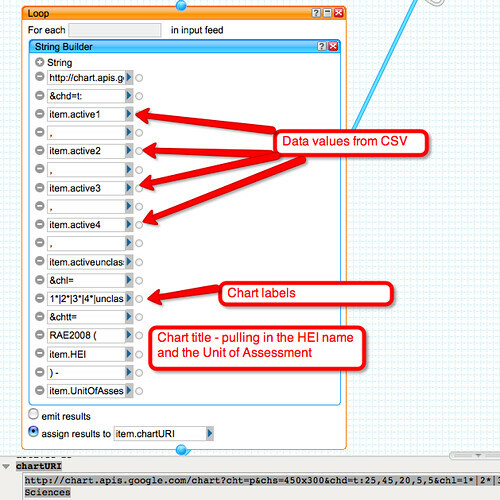 Now let’s see how to create a chart image from the data using the Google Chart API. 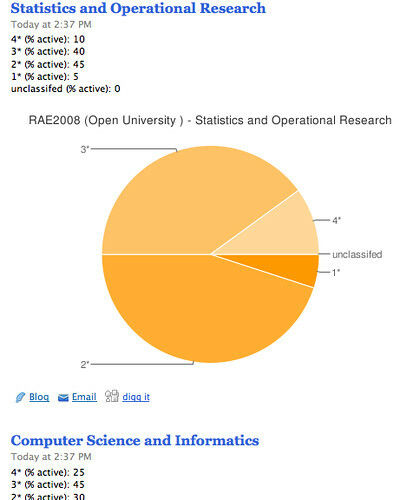 The Google Charts API provides a RESTful API to a chart generating service – which is to say: you can give it a URI containing some data and specifying a chart type, and it will give you an image back in return, with your data graphed appropriately (see also: RESTful Image Generation – When Text Just Won’t Do). the domain that serves the image: http://chart.apis.google.com/chart? Impressive!! 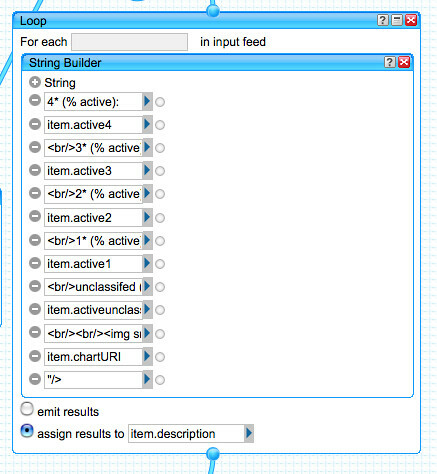 Thanks a lot for your blog and all your “how to” around yahoopipes and data viz..
We are starting to see tomorrow’s web. That’s a nice combination of data and visual. If you want more sophisticated charts, there is also chart.inetsoft.com.